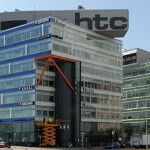 HTC One to launch March 22nd for Sprint, AT&T and T-Mobile? Earlier Thursday, we told you that a tipster had passed along the word that the eagerly awaited HTC One would be priced in the U.S. at $199.99 with a signed two-year contract for the 32GB model, and $299.99 for the 64GB variant. Now, we have a rumored launch date to go with that. If the information is legitimate, you can expect the HTC One to be available on March 22nd from AT&T, T-Mobile and Sprint. We told you recently that Verizon is not taking part in the launch of HTC's new flagship model immediately. Whether it is due to strong current sales of the HTC DROID DNA, or because of the money it has recently spent on promoting the model, Verizon is believed to be waiting until later in the year to sell a version of the HTC One that could be called the HTC DROID DNA Plus. While both the HTC DROID DNA and HTC One have a FHD display, the latter device offers it on a smaller 4.7 inch screen compared to the 5 inches on the former. That gives the HTC One a pixel density of 468ppi versus 441ppi for the HTC DROID DNA. That difference is really too small for most people to notice and it could be that Big Red would rather have a big 5 inch model in its lineup. 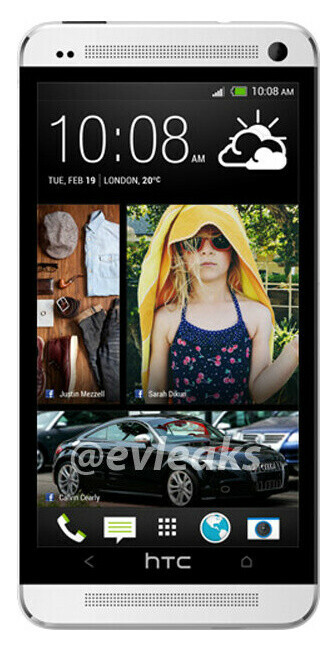 The HTC One will launch in Europe on March 8th, according to the tipster, at a price of €649.99 ($880 USD). After missing out on the One X, I thought there is no way Verizon will pass on the next ONE phone. They proved me wrong once again. Or are they skipping this because they're releasing something greater? Plot thickens. They did get the DNA, but id still be surprised if Verizon didn't get something a few months after the One's release. They just seem to have their own release schedule. What im curious about is how an additional 32GB raises the price $100 when the Nokia Lumia 920 comes with 32GB and the entire device starts at $100. Riseagainst.. The reason the Nokia Lumia 920 Starts at a 100$ lower is because it's a lower quality, lower teir phone. The Nokia line cannot compete with the Android flagships, the windows phones are not even on the same level yet. Maybe one day, but I HIGHLY HIGHLY HIGHLY doubt it. Lower quality? Idk about that. not sure about lower quality, but the price point that Nokia sets is all about getting numbers and building momentum towards better things, and nokia has been hitting a low, until it released the Lumia Windows phone (1st series and now). At the low price point, Nokia is doing pretty well in sales, but no where near Android, yet. Nokia and MS are being patient while offering a pretty good deal and alternative to Android. Looks like I'm gonna have to wait for the SIV. Verizon has done this since the first days of the company. Always thinking that their customers don't want the best phones. Or the updates. sometimes we get it cheaper still than the price they get it. i hope there is a drop cuz that reminds me of apple pricing. VZW has the Droid DNA which I believe is as good as the One, who cares about the extra 27 pixels vs an extra .3" of screen space? Other than that these phones are identical to me. Who cares about stereo speakers in a phone? How good of speakers can you really put in 8 - 9mm casing? I believe VZW passed this phone because they have the DNA and they're focusing on the Moto X with Key Lime Pie. I hear it's going to be VZW exclusive for a while. You're mostly right. I might have been more interested in the One because it has greater memory (32 GB or 64 GB versus 16 GB for the DNA). Alan, you're not allowed to post anymore Launch Date articles unless it's on the Moto X Phone. Capiche? And no sd card i suppose. Even htc has 128gb for 2 $99 I'm still don'tlike it! I'd prefer removable sd card so I can zap to another phone without needed transfering 64gb to laptop and then to another phone. Used to love HTC. I will stay with samsung!!! Until samsung changes like HTC then I'll go back to iphone because at that time iphone=htc=samsung then iphone is better! I kinda figured this...the DNA just came out. Thats why I said before if Verizon gets the HTC One. I am on the verge of getting a phonme plan with AT&T.... Not just because of this. I actually don tlike HTC phones. I just wanna see if AT&T is better in my area. Might as well test it out with a new phone. Wanna see how those stereo speakers do.